The definition of disability used by Social Security is “the inability to engage in any substantial gainful activity by reason of any medically determinable severe physical and/or mental impairment which lasts or is expected to last 12 months.” There are numerous medical conditions that may qualify an individual for Social Security Disability benefits including mental impairments such as Depression and Anxiety Disorder which can be disabling. You may be entitled to Social Security Disability Benefits for a mental impairments but there must be medical evidence documenting the diagnosis. Social Security will review the records from your mental health professionals such as Psychiatrists and Psychologists. They will also review any hospital records. 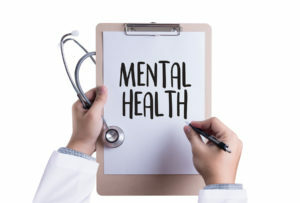 Sometimes Social Security will send the claimants out for mental health consultative exams if they do not have sufficient evidence to make a decision. Mental impairments can cause many symptoms including decreased energy, sleep disturbance, appetite disturbance, loss of interest in things, difficulty concentrating and remembering, panic attacks, anxiety, feelings of worthlessness, mood disturbance and social withdrawal. Since mental impairments can also interfere with activities of daily living, Social Security will send daily activities questionnaires to complete to note your symptoms and limitations. Social Security will review your mental abilities that are needed to perform jobs such as remember work procedures, maintain attention and concentration, make simple work related decisions, deal with normal work stress and whether you are able to complete a normal workday and workweek without interruptions from psychologically based symptoms. Social Security will review your records and functional limitations and determine whether you can perform your past work or any other work in the national economy. Do not give up if your case is denied at the application level. In Michigan, the next level of appeal is the Request for Hearing.